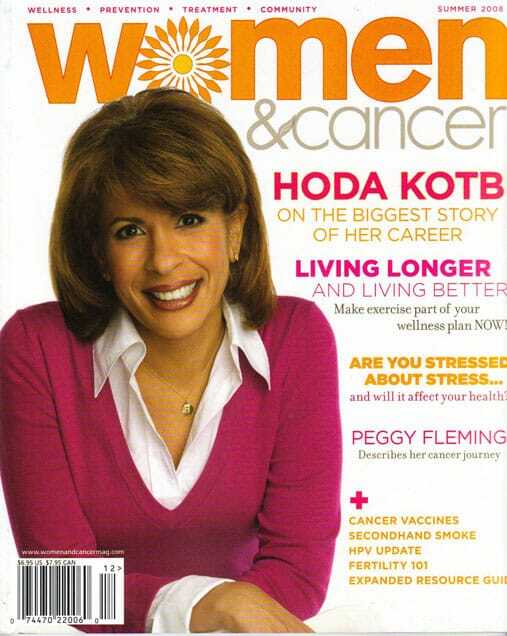 After a recent conversation with a friend who asked me the probabilities of a breast cancer survivor having children post chemotherapy, I thought a lot this weekend about an article from 2008 in the Women & Cancer magazine. For my friend, and all the women who are cancer survivors, I wanted to re-post this article and feature it as my blog topic this week. The article is the journey one of my patients took as she faced breast cancer, and she chose to preserve her fertility via egg freezing. The article can also be found at CancerConsultants.com, after a Q&A about fertility options for women facing cancer. Fertility preservation treatment prior to chemotherapy or radiation remains the most effective way to safeguard future fertility for women facing a cancer diagnosis. For this reason a frank discussion of fertility preservation options should occur prior to cancer treatment. Here, Dr. John Jain discusses one option—cryopreservation—and one patient’s journey of hope. When I first met with Susan,* a 33-year-old married woman, she had recently found a lump in her right breast and had been diagnosed with Stage I invasive breast cancer. Due to the small size of her breasts, she had undergone a right mastectomy and was set to begin adjuvant chemotherapy in six weeks. When Susan and I had our initial meeting, we discussed the fact that several important issues must be evaluated before any cancer patient could initiate a program of fertility preservation. These issues include the age of the patient as well as the stage and the type of the cancer. Fertility preservation options are best suited to women under 40, as this represents the most fertile period, when viable egg count is still sufficient. In Susan’s case I was able to tell her that she was a good candidate for cryopreservation (freezing of eggs or embryos) because of both her age and the fact that her Stage I diagnosis did not require immediate therapy, which would have precluded egg harvesting. Though Susan and her husband were counseled on both egg and embryo cryopreservation, they ultimately decided to proceed with egg freezing because they had ethical concerns about the disposition of embryos should Susan not survive her cancer. Although egg freezing is still considered an investigational procedure, results indicate that it may be as effective as freezing embryos. As we discussed the couple’s options, I was clear about the fact that, generally speaking, in cases where either eggs or embryos are preserved, clear advance directives are imperative to avoid future conflict. Having made the decision to move ahead with egg freezing, Susan began the process of ovarian stimulation. Typically, for egg or embryo cryopreservation, ovarian stimulation is initiated at the start of a menstrual period, although more-rapid methods can be utilized to accommodate cancer treatment schedules. Daily injections of medications are required for ovarian stimulation to induce multiple eggs. These medications are administered for approximately 10 days, followed by ultrasound-guided egg retrieval under anesthesia. The eggs can then be frozen or fertilized with sperm and frozen as embryos. An important factor that Susan had to consider as the couple moved forward was the fact that the daily injections she was required to undergo would cause elevated circulating levels of estrogen. This increased estrogen exposure is a particular concern for women with estrogen-sensitive cancers, such as breast cancer. One method to lower this risk is to use an aromatase inhibitor, a drug that lowers the amount of estrogen produced. This method yields fewer eggs and embryos than traditional egg stimulation, however, and the ultimate effect of low estrogen production on egg and embryo quality has yet to be fully determined. The effect of one to two weeks of elevated estrogen on cancer risk is not known. Taking the risk of increased levels of estrogen into account, and considering Susan’s breast cancer characteristics, she and I discussed the option of an aromatase inhibitor protocol versus a traditional protocol. Because the couple wanted to maximize the yield of eggs, they chose a traditional protocol, which was modified with the addition of an aromatase inhibitor administered after the eggs were removed. This worked to stop further production of estrogen. Given Susan’s good prognosis, her oncologist supported this approach. Ultimately, the cycle yielded 20 mature eggs for cryopreservation. Now, a year later, Susan and her husband have not yet attempted to conceive but feel very fortunate to have made the choice they did. Their decision provided them with a sense of hope and the ability to focus on Susan’s treatment at the time. And now, although Susan may very well conceive naturally, the couple feels that concerns about diminished egg counts and a possible increase in birth defects following cancer therapy make the frozen eggs they were able to secure a priceless gift. * This patient’s name has been changed to protect her privacy.